Stafford Home Service offers a full range of home heating and cooling repair and installation services. For the best options to fit your family’s home comfort needs, trust our experienced team of heating and cooling experts. Stafford Home Service offers comprehensive services for residential electrical projects of any size. We offer creative solutions to your home electrical challenges, quality workmanship, and top-notch customer service for remodels, additions, electrical repairs and installation, and much more. Let our knowledgeable technicians bring your home entertainment and computer networking experience to the next level. From home theater design and installation to universal remote programming, turn to Stafford Home Service. Protect your home and gain peace of mind with an easy-to-use and easily-accessed security system from Stafford Home Service. We offer a full line of locally monitored systems that can be customized to fit your specific home security needs. Stafford Home Service offers complete home heating and cooling services to meet all of your home comfort needs. Trust our experts for residential electrical projects of any size, including remodels and electrical repair service calls. Take home entertainment or computer networking to the next level with audio/video and network services. Protect your home and your family with security systems and products from Stafford Home Service. We’ve been providing quality workmanship and unparalleled levels of customer service in the Twin Cities metro area since 1951. And although times have changed – as well as technology – our values have not. 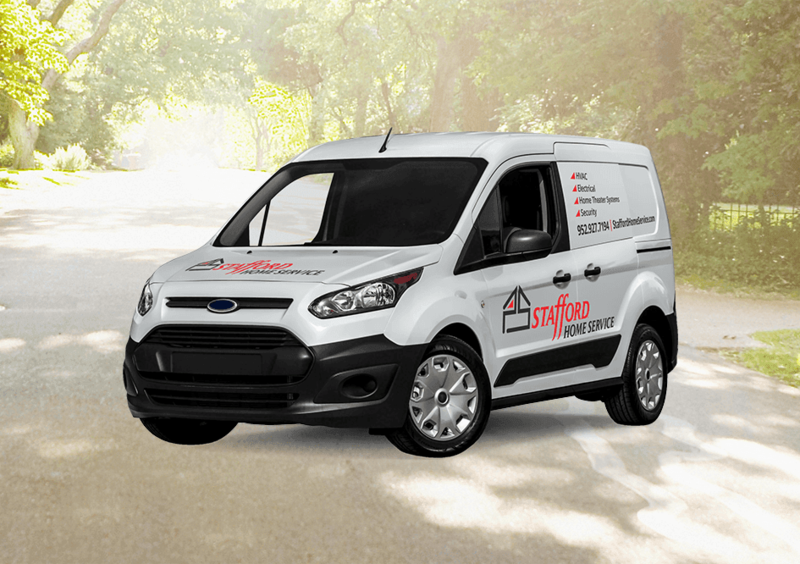 From the decades of Cervin Electric and Paul Stafford Electric, to the Stafford Home Service of today, with our expanded service capabilities and areas of expertise, one thing has remained the same: our commitment to dependability, quality workmanship, customer satisfaction, and value.